Elise Travel takes you back to a slower time of aromatic mint tea in cool courtyards, sun-drenched bazaars overflowing with handmade jewelry, and colorful tagines during this luxury journey. 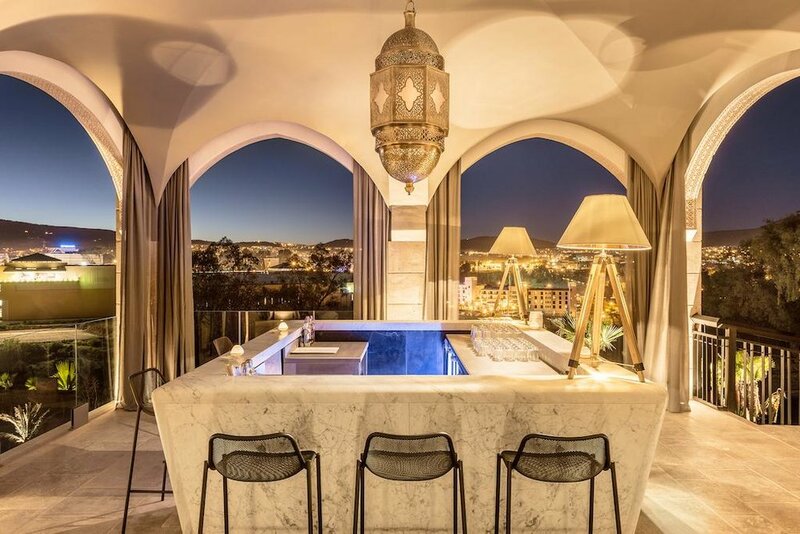 We offer you a trip that seamlessly blends Morocco's rich culture with 21st-century comforts allowing you to experience Morocco's heart and soul. Join us as we explore beautiful cities like - Casablanca, Rabat,Fez, Marrakesh, and savor one of the most diverse cuisines in the world. Are you ready to be amazed? Today we begin the day by visiting the largest mosque in Morocco, the Hassan II Mosque. Enjoy the drive to Fez but first we'll stop in Rabat where we'll visit the Hassan Tower, Mohamed V's mausoleum, and the Oudaya Kasbah. Tonight is our first of three nights in Fez, and we'll be staying in a hilltop hotel with fantastic views of the city. .
After breakfast today, we'll start unearthing the secrets of Marrakesh, the “Red City." From the Museum of Moroccan Arts, to the renowned Koutobia Minaret, and finally to the masterpiece that is the Djemaa el-Fna market square you'll agree that Marrakesh is an architectural jewel. At the end today's tour we'll be escorted to our hotel Moroccan style - by private horse-drawn carriage! Tonight we'll experience Moroccan hospitality as we dine with a local family in their Marrakesh home. Today is our last day in Marrakesh. We'll have your airport transfers ready after breakfast. We hope you enjoyed unveiling Morocco's unique culture and past.